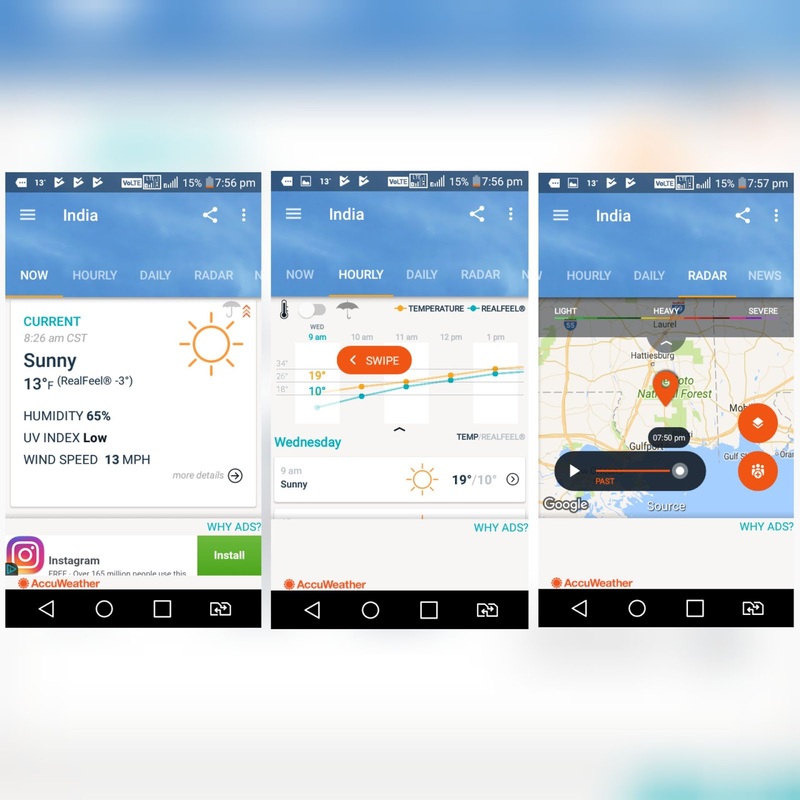 Best Weather Apps for Android: If you are searching an Android app which gives weather updates and information about the weather then you landed on the right page. 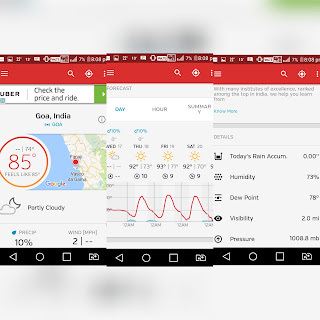 Today in this article we are going to discuss 5 best weather apps for your Android smartphone. Usually, we use weather apps to know the condition of the weather outside, the weather for tomorrow and the weather for the next 10 day and it continues. 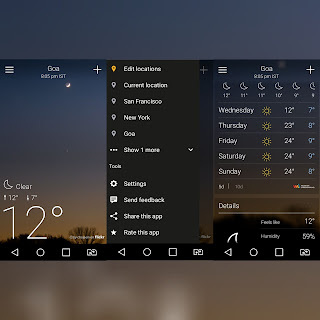 For this you need the best weather apps which give accurate weather updates daily, So I am going to share some of the best weather apps by using these apps you can get weather conditions of any given location at any given time. Let us look at the list below. AccuWeather is one of the best weather apps it has around 50 million downloads and rated with 4.4 out of 5. This app makes you connect with the latest weather updates and it provides the great experience to the user. 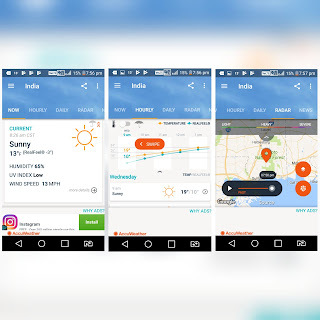 Some of the features of AccuWeather are it provides minute to minute precipitation to forecast weather to your exact GPS location, AccuWeather forecasts worldwide locations, push notifications for weather updates, local weather updates for the next 5 days. Yahoo Weather is another best app, it has a very beautiful user interface which consists of beautiful images matching your location. Features of Yahoo Weather are it provides details about precipitation, wind, temperature, pressure and you can see the weather of desired City. 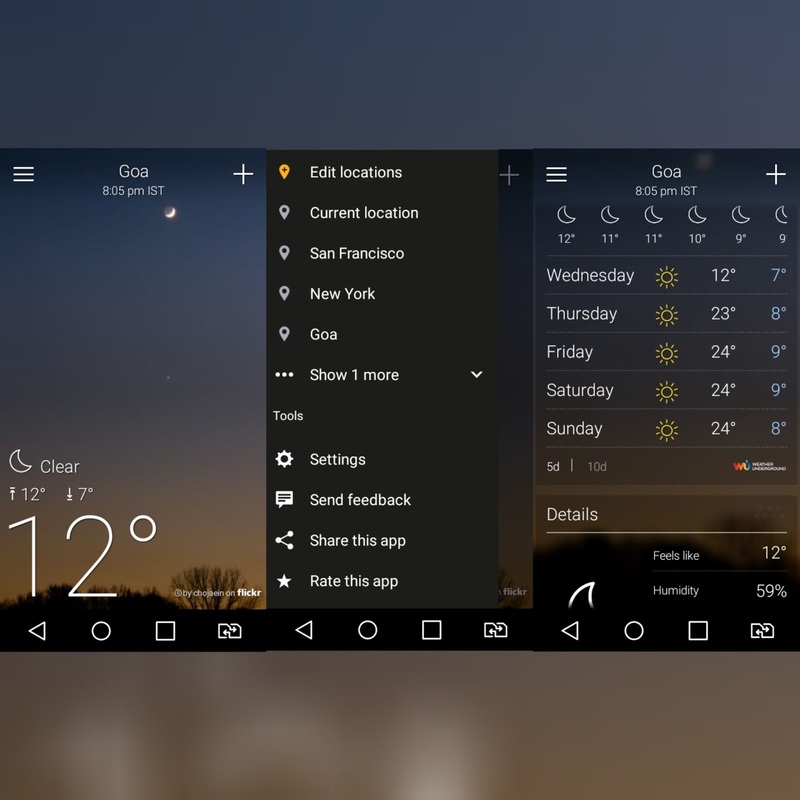 As the name of app indicates that it provides weather widgets with time displaying inside it. 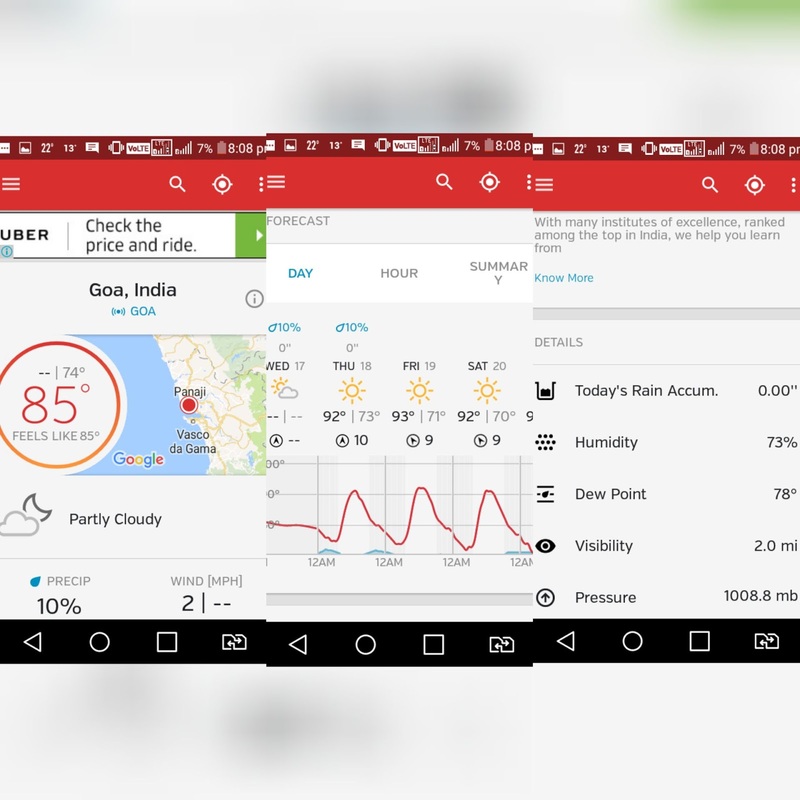 you can personalize your Android Phone or Tablet with this weather app. 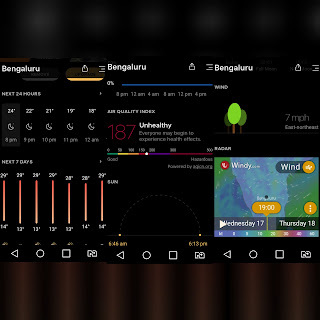 Features of Weather & Clock Widget app are it provides weather information like temperature, UV index, pressure, precipitation, sunrise and sunset time. It also has Android wear support. Today Weather is the simple and beautiful weather forecasting app. This app displays the weather information clearly and the user can understand easily. Here are some features of Today Weather it represents the weather information in a simple way, alerts you with daily weather notifications, provides weather widgets to a quick view of the forecast. Weather Underground comes with a beautiful user interface and looks premium. This Weather app provides instant weather condition and temperature and also provides 10-day forecasts, weather push notifications, customizable weather widgets. 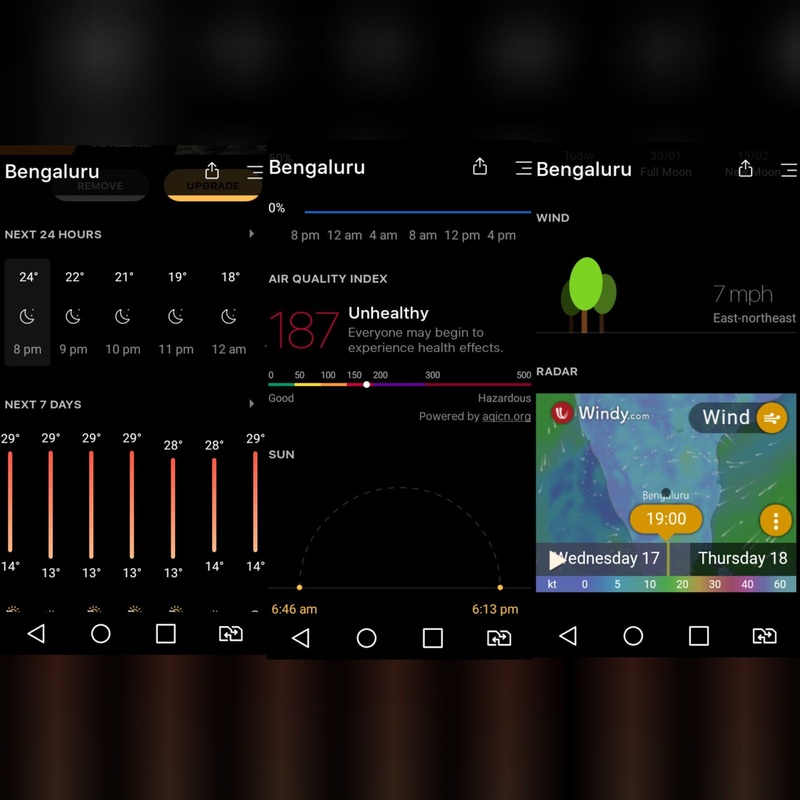 Hence these are some of the best weather apps for android.